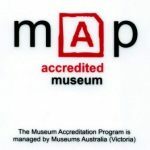 The Benalla Costume and Kelly Museum was founded in 1967 and is accredited through the Museum Accreditation Program (Vic). 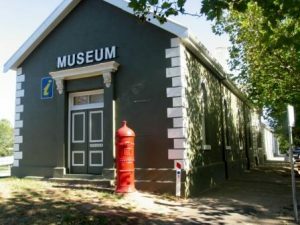 It is the only public costume museum of its kind in Victoria. 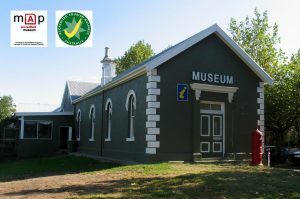 It is managed entirely by volunteer members of Benalla Historical Society Inc. and is a splendid example of how the skills of an enthusiastic and talented group can produce excellence.The museum specializes in costumes and local history, including the Ned Kelly Story. The Historical Society also has a ‘Research Room‘ in the Museum in which early news papers dating back to the 1800’s, books, documents, and pictures are stored. Our latest exhibition – Dressed to Impress – Our own Fashionista” is now open. 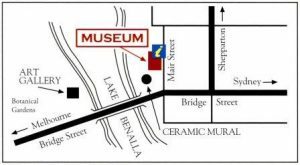 Local history is displayed in several permanent exhibitions, depicting Benalla memorabilia, the Kelly story and three of Benalla’s famous sons. Two of Benalla’s famous sons – surgeon and war hero Sir Edward ‘Weary’ Dunlop and Captain Hector Waller R.A.N are remembered in the Services Room. first Labour Prime Minister of New Zealand, who was born at Tatong near Benalla. 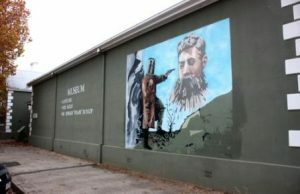 As Benalla is the heart of the Ned Kelly country, the Kelly story is given considerable emphasis. In the museum is a transportable cell in which Ned was once imprisoned. The cell contains authentic memorabilia including Ned’s bloodstained sash (which he wore at the siege at Glenrowan) and his bridle as well as other items. You can also read many letters and documents about the gang and Ned’s family, and see an excellent 12 minute video. The Museum complex at 14 Mair Street also houses the VISITOR INFORMATION CENTRE with local tourist and accommodation information. Melbourne and Sydney, just two hours from Melbourne. adjacent to the Ceramic Mural.